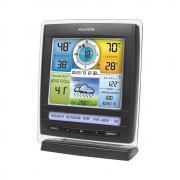 The AcuRite 01512 Pro Weather Station offers a ton of weather related features and includes an easy to read, illuminated color display with three different lighting settings. Customer reviews of this weather station have been excellent, with well over 90% of customers rating it as 4 or 5 stars in reviews we have discovered. 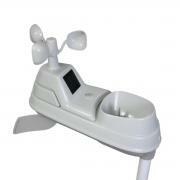 Reviews for the AcuRite 01512 Weather Station are excellent overall. The most frequently used word in the positive reviews is "accurate". The best value in home weather stations. Works great. Easy to setup. Had trouble setting up on computer.